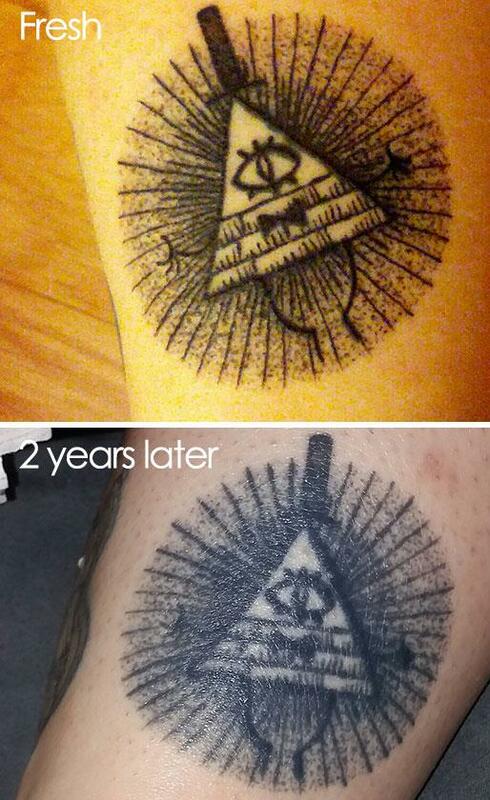 When people get tattoo‘s they think they will last for ever, that is sort of correct. In a short period of time, they can change, lose colour, fine lines disappear or merge, Your body can change shape and the tattoo changes. When you show sign’s of age so does the tattoo. When first applied they can look neat or tell a story, but the truth is they fade, the story can be lost and they can start to look ugly. The tattoo on the right is an example of that. In only six months it can look nothing like the original. 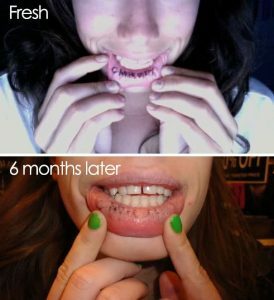 I really feel for the girl, can you imagine how painful that was to apply? Then for it to be almost gone in six months. I bet the girl is thinking, “what was I thinking” all that pain and money for nothing. I really am not sure why she did it, in the first place. It’s not as though you can see it unless she does that. Well the good news is at Xara Skin Clinic we are experts in laser tattoo removal. It is painless and what I means from that is it’s far less painful that having it put on. I would call it mild discomfort. In most cases it takes three to four visits for the tattoo to be removed. Before getting a tattoo have a think about what the tattoo will tell people and what message it will send. When people first meet it takes seconds for someone to form an opinion of you. It might be the right of the wrong opinion, but it takes far longer to change it. Think about it in situations such as a job interview, what opinion will be formed about you? If you have a customer facing roll what will your customers think? Don’t forget that you may see hundreds of customers in a day and they only see you long enough to form an opinion of you. They then connect you with the business, what will the boss think? I don’t want to put you off, all I am saying is think really careful about it and if it’s too late, book an appointment today. 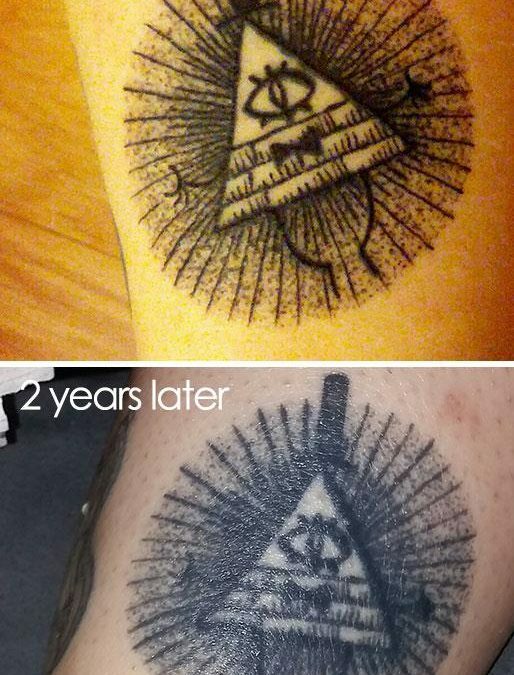 We are experts in laser tattoo removal in Sydney. Ask us for a package price and save.